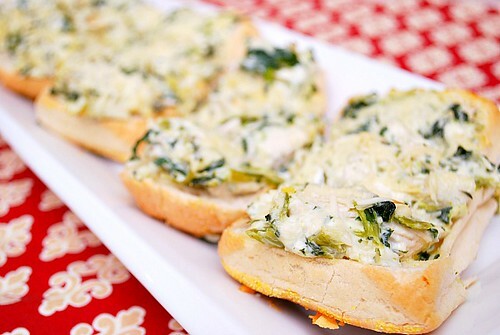 Spinach and Artichoke is one of my favorite appetizer combinations. Throw in some chicken in there and it might as well be a meal! I really enjoyed this on toasted GF rolls while my guests enjoyed them on crusty baguette halves. You could even serve up the topping warm and bubbly and have a few crackers on the side too. 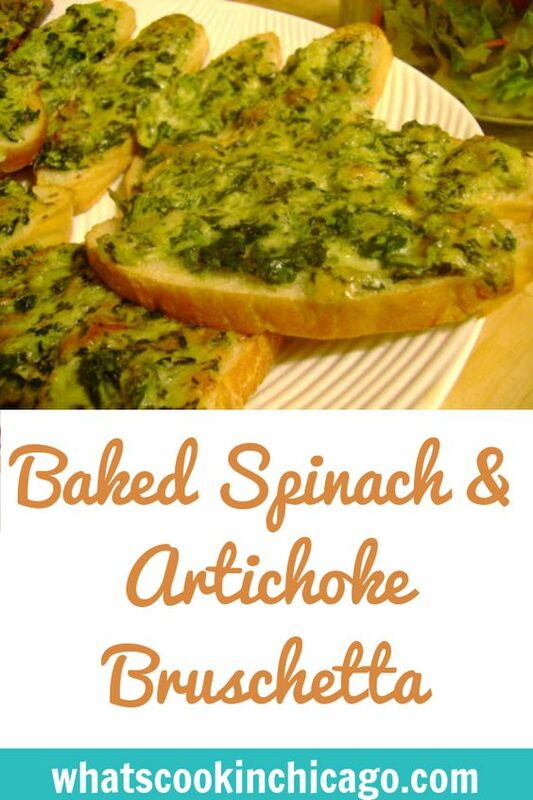 However you decide, this is one appetizer that you can easily make into a meal with a glass (or two) of wine! 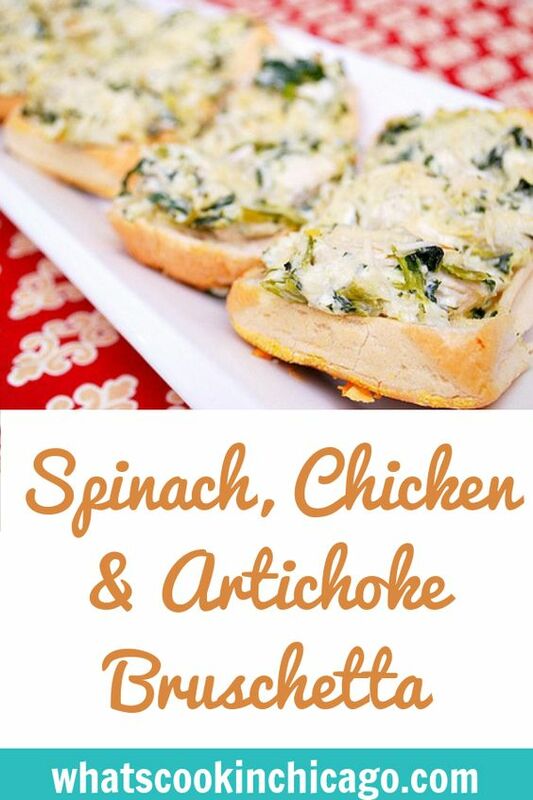 Combine all ingredients and spread on bread. Bake in oven at 400 degrees for 15 minutes until cheese is melted and browned. This looks like the perfect appetizer!